We’re in very windy Brighton on the south coast of England for the Great Escape Festival. No paddling this year! We’ve a bit of a departure from the normal this week. 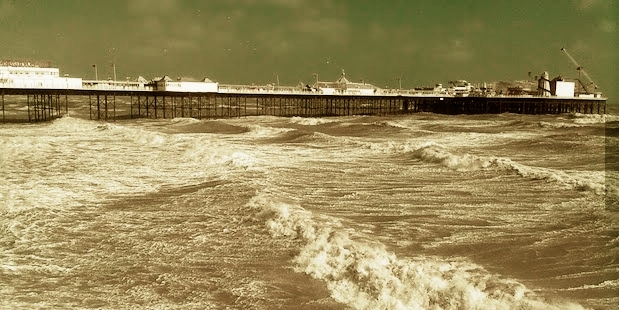 We’re firmly in very windy Brighton for The Great Escape with a modest selection of fine tracks from artists who were there along with a feature on The Wet Secrets who played some excellent sets at the festival during their lightening visit from Edmonton, Canada. An artist that I missed at TGE. François & the Atlas Mountains are an indie rock band formed in Bristol, England by singer/songwriter François Marry. A native of Saintes, France, in 2003 Marry relocated to Bristol, where he began performing as a solo artist and as a touring member of Scottish indie pop band Camera Obscura. 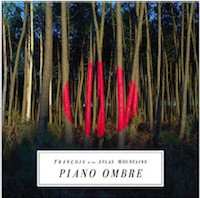 After a 2004 solo release titled Les Anciennes Falaises, Marry recorded his second album, The People to Forget, with a group of friends who became known as the Atlas Mountains. The 2006 release came out on local indie Stitch-Stitch Records. In 2008 he returned to France and became involved in a number of other projects that influenced the worldbeat meets dream pop approach of his 2009 album, Plaine Inondable, released by Bristol-based label/collective Fence Records. 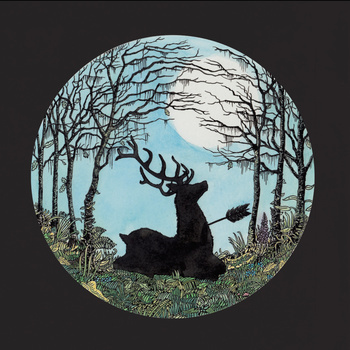 Continuing to employ a variety of different musicians and styles, François & the Atlas Mountains signed to prominent indie Domino Records to release 2012’s E Volo Love. After splitting his time between the U.K. and France, Marry settled into his native country to record the band’s fourth LP, Piano Ombre, which was released in March 2014. I didn’t actually catch Japanese artist ICHI’s own set at a delightful new venue at the Festival Hub, The Spiegeltent. While I was busy at one of the other 30 venues active at TGE this year, Codger and Grumbler were being blown away by this stick-like Japanese one-man-band on stilts playing a variety of home made instruments. ICHI takes the notion of one-man-band to new limits combining handmade instrument inventions with steel-drum, ping-pong balls, tape-loops, xylophone, and trumpet. With an ancient, ritualistic air, he’s like the misplaced leader of a tribe and perhaps he will be – it’s this kind of energy and innovation which inspires a cult following. It`s so playful and unusual you feel you’re witnessing something entirely new. Fun, danceable, exciting, his performances combine the raucous energy of African street music, the pastoral reflectiveness of goat-herders, and the humour of monty python, and are driven with energy, quirkiness, and his playful manipulation of the mundane. Having toured extensively as a solo artist in Japan, the UK and Europe, playing at many festivals including Glastonbury Festival (where he received a standing ovation), ICHI has been steadily building a strong and loyal fan-base, and it is unsurprising many notable characters have shown an interest in him, both as recording artist and live performer. I did catch Rachel Dadd’s set at TGE and what a treat it was joined on stage (well, a square of carpet on a six inch high platform) by her husband and baby, her set was the most humane that I caught all week. Folky, yes and certainly it had highly quirky moments with her ukulele and guitar complemented by steel drum, typewriter and walkie-talkies. Above all though, her voice. Confident, personal and vulnerable – all at once and quite mesmerising. 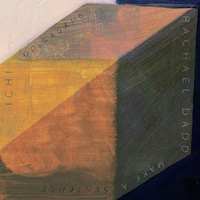 With a string of releases on Broken Sound (UK), Sweetdreams Press and Angel’s Egg (Japan), experimental folk multi-instrumentalist Rachael Dadd is preparing to release her strongest and most impacting body of work into the public sphere. Two years in the making ‘We Resonate’ is an uplifting celebration of life and by far her most collaborative. It sees Rachael joined by Laura Marling’s sideman Marcus Hamblet, experimental Japanese multi-instrumentalist ICHI, Alessi Laurent-Marke of Alessi’s Ark, Rozi Plain, Emma Gatrill of Sons of Noel and Adrian, and Thomas Heather of Woodpecker Wooliams. Starting life as demos of multi-instrumental layers born from the richness of her nomadic lifestyle, the songs were then recorded in part with a live band in a studio, followed by playful overdubbing in Rachael’s front room where she could prepare the piano and use husband ICHI’s handmade musical inventions. Carving out a niche of its own and crossing genres from folk, through pop and experimental, ‘We Resonate’ pulses with poly-rhythms on prepared-piano, homemade xylophone, voice, clarinets, typewriter, boxes of matches, steel drum, tap-dancing, clapping, and even the heartbeat of Rachael’s baby in the womb. Her love of african field-recordings and the spirit embodied within them has seeped into the diverse mix of influences, along with Steve Reich, Tune Yards, and the Japanese underground/improv scene. The Wet Secrets formed a central part of the Canadian presence at The Great Escape this year, playing three showcase shows over the festival. Even before they arrived on our windy shores, they had impressed with the unusual line-up of lead bass guitar, drums, keyboard/congas, trumpet and trombone. 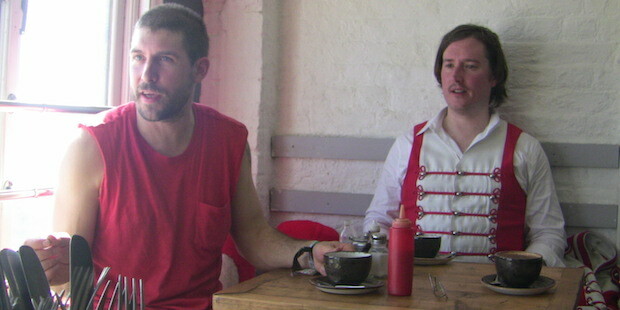 I met up with drummer Trevor Anderson (right) and lead bassist and singer Kyle Bell (left) who are also a large part of the creative force in the band and we retreated to a nearby cafe for a spot of lunch (yes, it was a morning show) and a natter. Newcastle based four-piece Bridie Jackson and The Arbour are an eclectic group of folk-influenced musicians. Hauntingly ethereal, yet fused with dark and powerful undertones; this eccentric Radio 2-supported ensemble inject contradictions galore, with their union of bright melody and sombre lyricism. They have a new album, New Skin out right now.